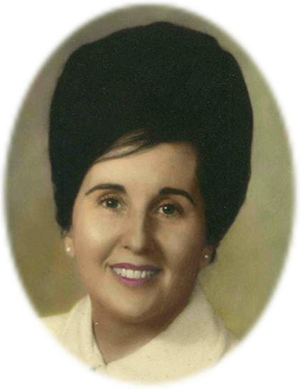 Obituary – Thomas, Willa Jean (Adams) « Perry High School Alumni Association, Inc.
Willa Jean Thomas, 83, of Tulsa, Oklahoma, formerly of Perry, Oklahoma, was the daughter of William Spaulding and Manilla Lorene Johnson Adams. She was born September 16, 1925 at Perry, Oklahoma and died Friday, April 17, 2009 at Inverness Assisted Living in Tulsa, Oklahoma. On April 22, 1944, she and William Harcourt Thomas were married in Pauls Valley, Oklahoma. Her husband preceded her in death on January 28, 2002. Willa was a homemaker and a great cook. She had a green thumb and enjoyed gardening and sewing. She was a member of the First Presbyterian Church in Tulsa and Daughters of the American Revolution and Daughters of the American Colonists. Graveside services will be at 10:00 a.m. Monday, April 20, 2009 in the Grace Hill Memorial Pavilion at Grace Hill Cemetery in Perry. Services are under the direction of Brown-Dugger Funeral Home. Memorials may be made to the Alzheimer’s Association in care of Brown-Dugger Funeral Home, 1010 N. 7th Street, Perry, Oklahoma 73077. Willa is survived by three daughters and one son, Connie Beth Bass, of Austin, Texas, Cathy Streight, of Tulsa, Oklahoma, Mike Thomas, of Tulsa, Oklahoma and Susan Hammond, of Bixby, Oklahoma; nine grandchildren and five great-grandchildren. In addition to her husband, she was preceded in death by her parents, William and Manilla Adams, and two brothers, Robert Adams and Barney Adams.